You are spoiled with choices at Boulevard Towers with our one, two and three bedroom apartments. 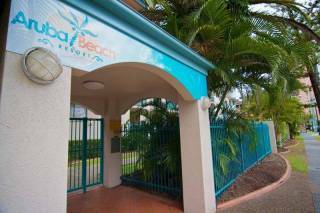 Our family accommodation in Broadbeach provides FREE WiFi, FREE Foxtel Cable TV, fully equipped kitchen with microwave, cooktop and oven, dishwasher, fully equipped laundry, linen and towels, and air-conditioning. All of our apartments have private balconies, where you can unwind, and simply take in the spectacular beach and ocean views. 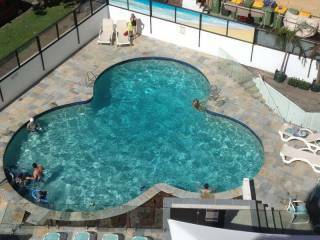 The sparkling swimming pools of our Gold Coast apartments offer hours of lazing around with the family or partner. There's even a wading area for the little ones to splash around in. Relax and unwind in your choice of either our heated outdoor or heated indoor pool. Step into our fantastic spa and relax and enjoy the envigorating bubbles and jets on your body, or why not turn the heat up and have a hot sauna to rejuvenate those muscles after a day of fun. Boulevard Towers has arrangements with a local gym for our guests to be able to use for a small charge. Please contact reception direct to arrange use of this amazing facility. Show off your Wimbledon serve on our half-size tennis court of our family accommodation in Broadbeach. It’s a fun way to keep fit when you’re on a Gold Coast holiday. Tennis equipment is available from the office and can be hired for a small fee. Tweet about your latest Gold Coast escapade. Log in to Facebook, and post photographs of you, enjoying a siesta on the beach, or gobbling up prawn pasta or steak. You can keep in touch with envious friends and office mates with the Boulevard Apartments wireless internet and office facilities. We have FREE WIFI internet available in every room. Our friendly office staff will be able to assist you with your printing and photocopying for a small fee. Our Gold Coast holiday accommodation provides a state-of-the-art BBQ area, where you can take pleasure in cooking an alfresco meal with your family and friends. Set in lush tropical grounds, the gazebo is the perfect setting to sit and relax with a refreshing drink. The fun-loving and approachable Boulevard Towers tour desk staff will only be too happy to help you plan your beach holiday. 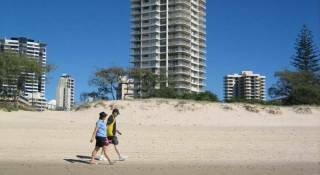 Get suggestions on the top destinations for dining out and sheer revelry near our family accommodation in Broadbeach. We can also organise airport transfers, car hire, tours, and theme park tickets for you - NO BOOKING FEE CHARGED. The one bedroom apartment is the perfect choice for couples on a romantic beach holiday. The spacious Gold Coast luxury apartment is self-contained with a fully equipped kitchen, comfortable furnishings and wrap around balcony to enjoy stunning ocean views. The spacious two bedroom apartment is designed for friends and office mates on the lookout for a Gold Coast holiday hideout. It is self-contained with a fully equipped kitchen and laundry facilities, wrap around balcony to enjoy absolute beachfront accommodation with magnificent Ocean views. The spacious two bedroom ground floor apartment has direct access to the tropical gardens and swimming pools and has a large patio. It is self-contained with a fully equipped kitchen and laundry facilities. 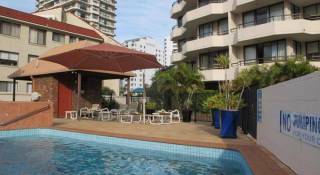 Looking for family accommodation in Broadbeach? 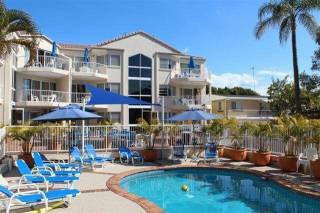 Our Huge three bedroom, 3 bathroom apartment with magnificent ocean views is the perfect setting for a pleasure-packed Gold Coast family holiday. On arrival at Boulevard Towers: We accept: VISA, MasterCard and EFTpos. AMEX and Diners cards are also accepted, but carry a surcharge of 2% + GST. Cheques will not be accepted. At the time of booking your Credit Card will be charged AUD 0.00 by eTourism Holidays (the agent) and $300 by Boulevard Towers (if the balance is less than $300, the full amount will be processed). This total deposit is included in the room price and does not include any additional charges or fees. The remaining balance is to be settled upon arrival at Boulevard Towers. A booking is confirmed once both deposits have been processed. Valid Credit card details or a security bond of $200 cash will be required on arrival. All cancellations carry an administration fee of $100 per booking. This fee covers the cost of processing the booking, receipting and banking the money, cancelling the booking from the system, drawing the refund cheque, mailing the refund cheque with a covering letter and meeting bank charges. All refunds are made by cheque. If the booking is cancelled twenty-eight (28) days or more prior to the booked date of arrival, a full refund of monies held less an administration fee of $100 will apply. If the booking is cancelled less than twenty-eight (28) days prior to the booked date of arrival, there will be no refund unless and until the premises are re-let for the total period of the booking. An administration fee of $100 will be deducted from the monies held before the remainder is refunded. If the booking is cancelled fourteen (14) days or more prior to the booked date of arrival, a full refund of monies held less an administration fee of $100 will apply. If the booking is cancelled less than fourteen (14) days prior to the booked date of arrival, there will be no refund unless and until the premises are re-let for the total period of the booking. An administration fee of $100 will be deducted from the monies held before the remainder is refunded. Where a booking is made less than fourteen (14) days prior to the booked date of arrival there will be no refund unless and until the premises are re-let for the total period of the booking in which case an administration fee of $100 will be deducted from the monies held before the remainder is refunded. *Children under 2 years and in own bedding are free of charge. *Cot hire is $5 per night. *Highchair and pram are also available to hire (price on request). *Extra person is $30 per night. *Guests are responsible for damage and/or losses from their apartment. *Personal property is not insured by us. *The tariff does not include washing of dishes or removal of rubbish. A cleaning charge may apply if the apartment is not left in a reasonable clean and tidy condition.